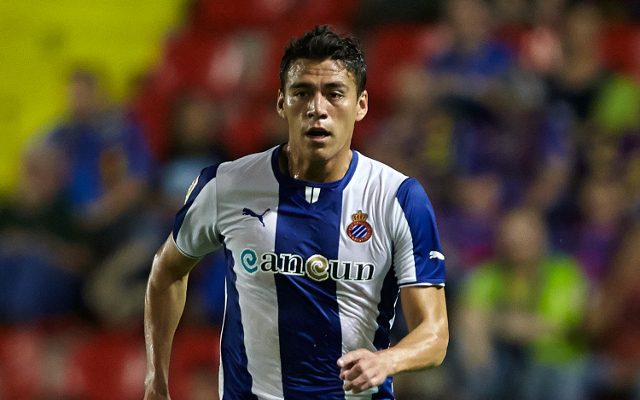 AC Milan are interested in the services of Mexican defender Hector Moreno, according to Mexican newspaper Record. Moreno has long been a target for Arsenal, but the paper report AC Milan are now keen and are the favourites to land his signature. The Espanyol defender is a regular for El Tri – the Mexican national side – and the Italians would be willing to pay up to £15 million for him to sign on the dotted line. The same article reports than Milan are also keen on Shakhtar Donetsk’s Luiz Adriano and Atletico Bilbao’s Aymeric Laporte, though it is thought that all three deals are unlikely to happen, and AC would instead be forced to choose their most preferred targets. Arsenal have been linked with Moreno for a long time, and with the new interest from Milan, there is a strong chance that Wenger could also opt to make a move.